redDUST at RSEA Safety - The Safety Experts! 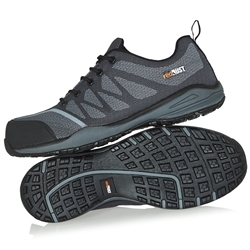 redDUST have created the perfect safety shoe! 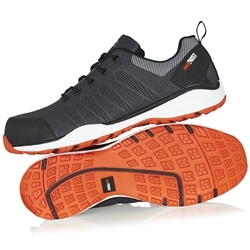 Breathable lightweight air knit with composite toe cap (metal free! 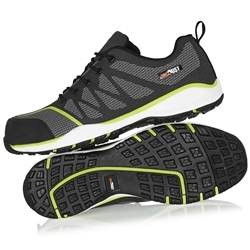 ), super lightweight running sole construction and contoured removable PU work quality footbed with GEL insert. redDUST Safety footwear is manufactured using both synthetic and natural materials which conform with AS/NZS 2210.3 (EN ISO 20345) and AS/NZS 2210.5 Standards for performance and quality. Our footwear is certified by: ITS Testing Services UK Ltd. Centre Court, Meridian Business Park, Leicester, LE19 1WD, Notified Body 0362, and certified by SAI Global Australia – Lic No. SMK40583. Available exclusively online & RSEA Safety stores nationally.